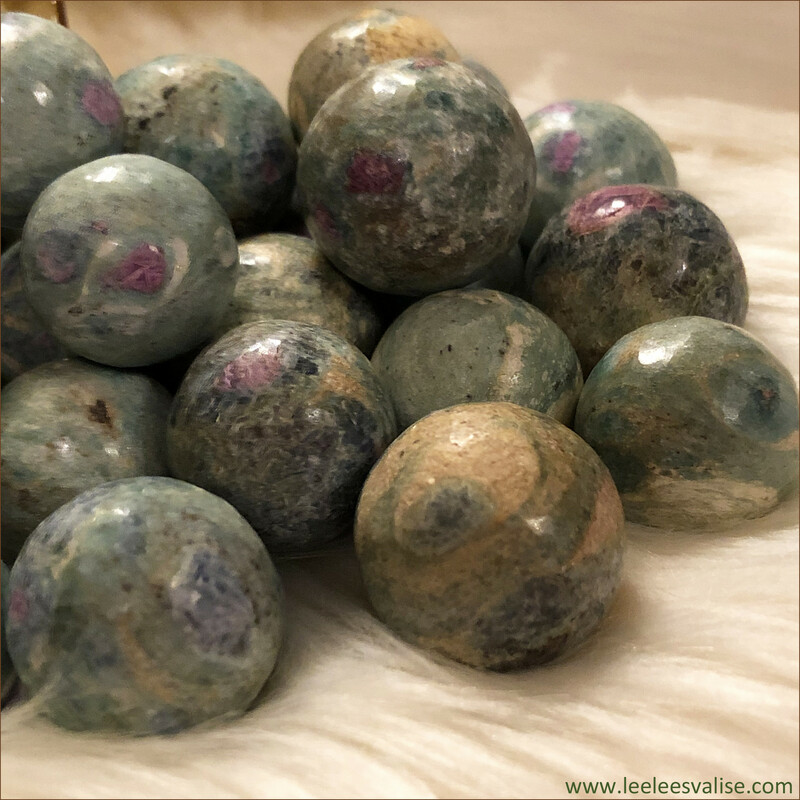 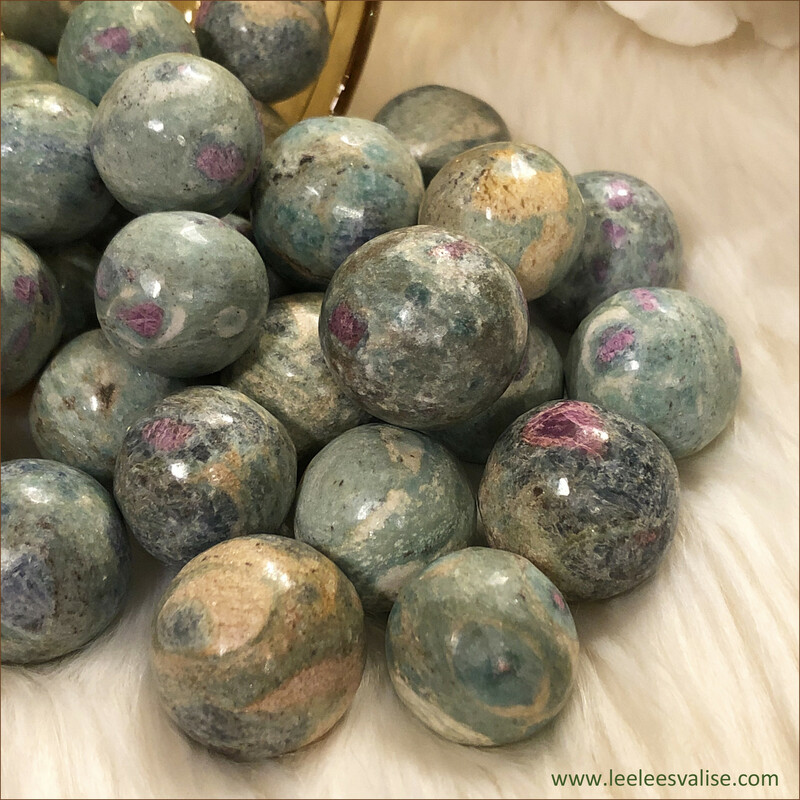 Ruby Fuchsite Spheres (Set of 3)★ Ruby in Fuchsite is a lovely combination of natural red Ruby crystals embedded in green Fuchsite. 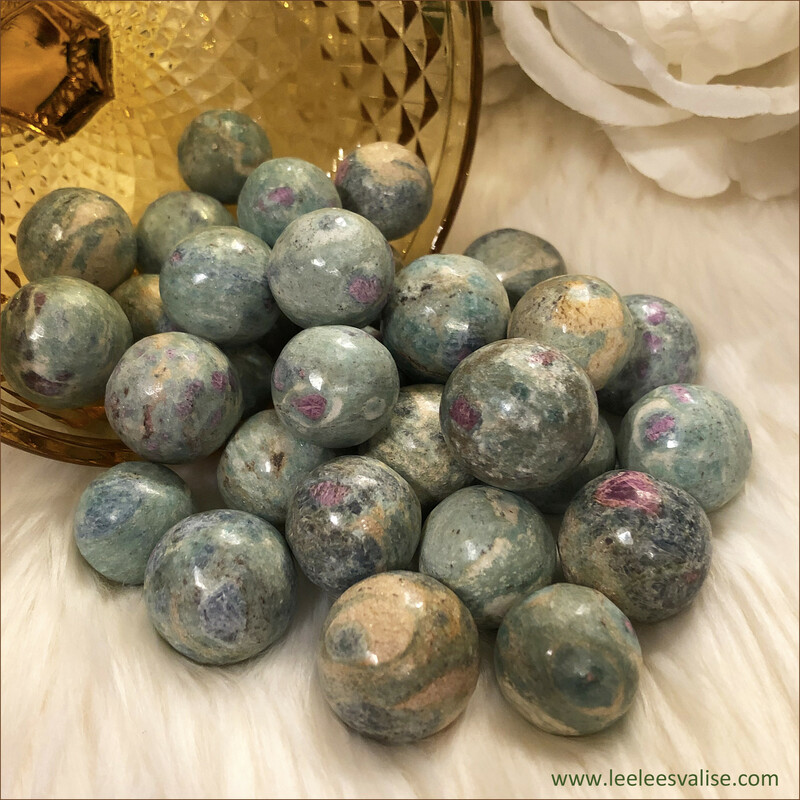 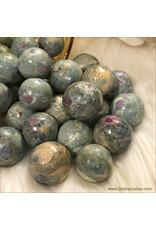 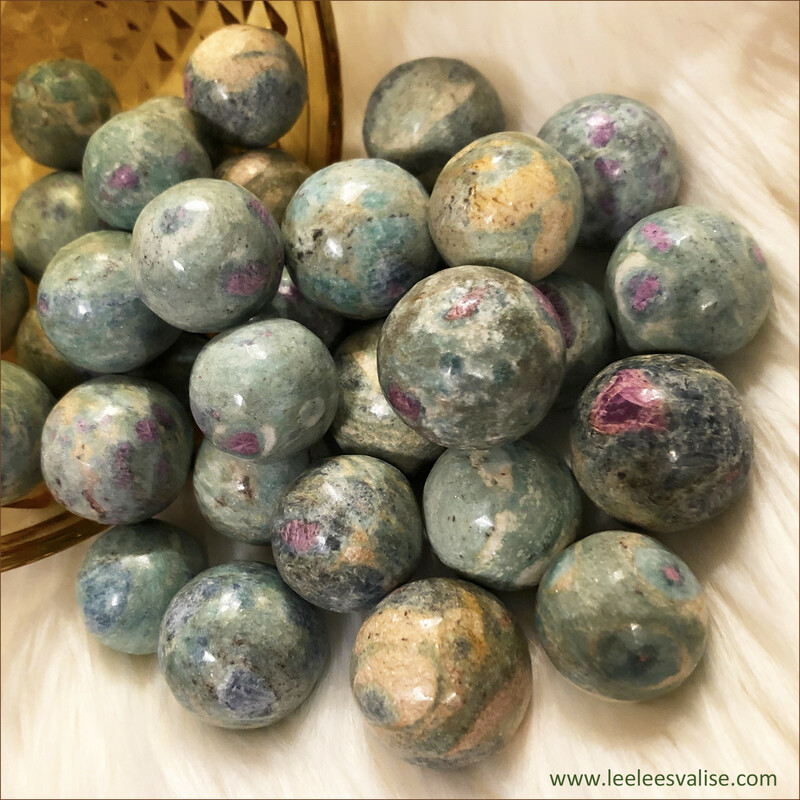 Ruby Fuchsite Spheres are the perfect piece for altars, sacred spaces, healing rooms or to hold during meditation. 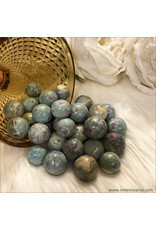 Add this Beautiful Polished Spheres to your Mediation Altar and Crystal Grids, or anywhere in your space. 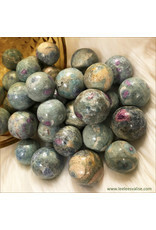 "I easily receive loving communication from other dimensions." 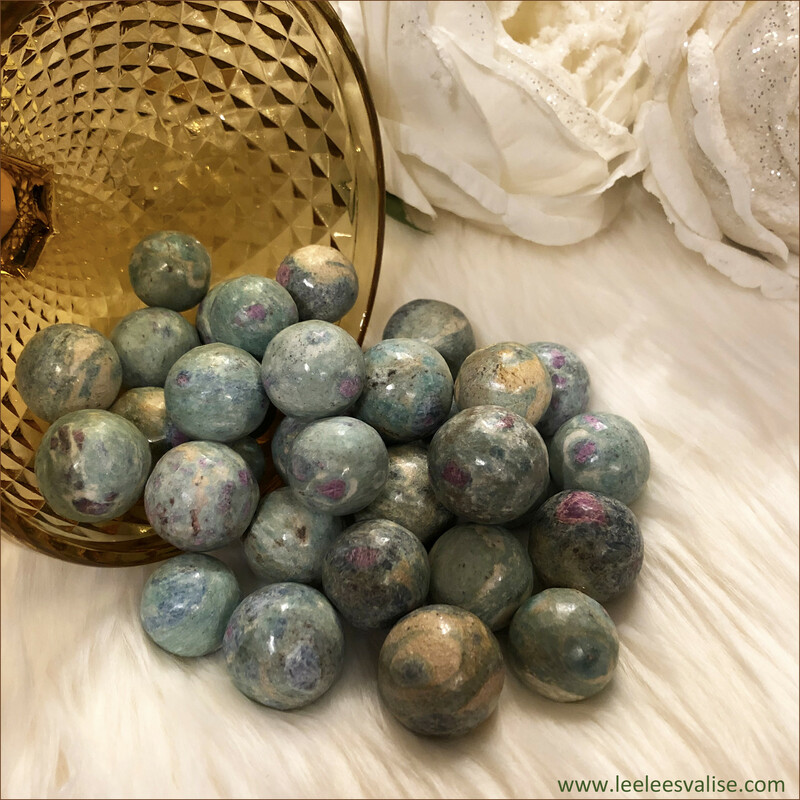 You will receive three (3) Ruby Fuchsite spheres that will be picked intuitively for you. 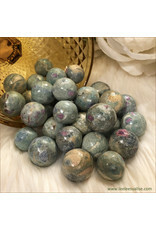 Appox. 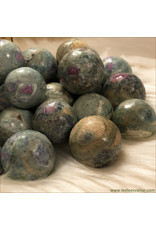 weight between one and two ounces.